In a brand-new frontal crash test introduced by the Insurance Institute for Highway Safety (IIHS), four 2012 midsize luxury cars failed to pass. 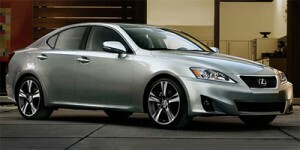 redesigned for the 2013 model year and Mercedes-Benz has already said it will modify the airbags in the C-Class. The Audi A4 and Lexus IS are well into their design cycle and may be due for redesign soon. A total of 11 midsize luxury cars were tested, all of which are priced from the $30,000s. The IIHS designates the additional test the new small frontal overlap test. It was added to the safety organization’s suite of tests designed to help consumers choose safer vehicles. The new test uses a frontal 40-mph impact crash test in which just 25 percent of the vehicle’s front-end, the driver’s-side corner, must absorb the full force of the collision. In contrast, the National Highway Traffic Safety Administration’s (NHTSA’s) testing, the force is spread across the entire front of the vehicle. The IIHS says the new test is designed to replicate what happens when the front corner of a car collides with another vehicle or an object such as a tree or a utility pole. It notes that outside of the IIHS testing, such a test is not currently performed anywhere else in the United States or Europe. Statistically, more than 10,000 deaths each year are due to frontal crashes and “small overlap crashes are a major source of these fatalities,” according to IIHS President Adrian Lund. 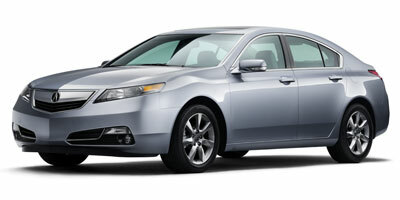 Receiving a “Marginal” rating were the 2012 Acura TSX, BMW 3-Series, Lincoln MKZ and Volkswagen CC. The Lincoln MKZ, like the “Poor”-rated Lexus ES, is fully redesigned for the 2013 model year. But the BMW 3-Series was just redesigned for the 2012 model year. Vehicles receiving marginal and poor ratings showed test dummies buckling and their feet becoming trapped (the Mercedes-Benz C-Class), airbags that fired too slowly or off to the side of the driver’s head (the Lincoln MKZ), or had their doors completely ripped off (the Volkswagen CC). There was also excessive forward movement of the driver dummy caused by too much shoulder belt webbing spooling out of the retractor in the BMW 3-Series, the Mercedes-Benz C-Class and the Volkswagen CC. All of the 11 tested cars scored “Good” in the IIHS’s existing offset-frontal crash tests (now renamed the moderate overlap frontal test), while all but the Lexuses and the Infiniti G were 2012 IIHS Top Safety Picks. The IIHS said that the testing will continue and because so few vehicles have been tested under the new 25 percent offset crash test, cars will be rated either a 2012 or a 2013 Top Safety Pick even if they fail the new evaluation.